Most people would agree that in order to eat healthy you have to sacrifice flavor, and that if it tastes good then it's probably not good for you. In most cases, this is true, however not for this Father-Son duo. These two Louisiana born natives have merged their passion: food and fitness. Meet Gerald Savoie, patriarch & restaurateur, and current owner of Savoie's Catering. 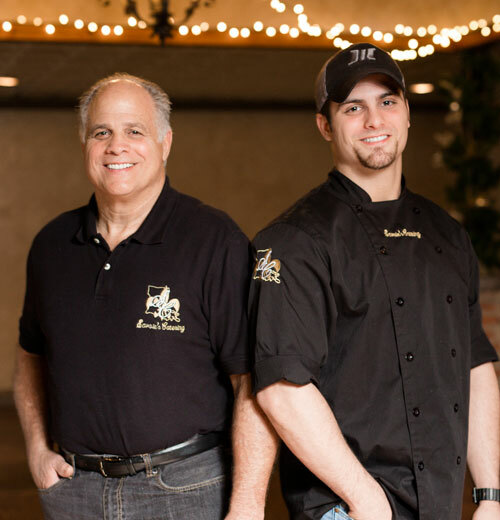 He has been serving the people of Shreveport and Bossier City the true Cajun flavors they crave for over thirty years. From Larose, LA and graduate of Northwestern State University, Louisiana traditions have always been imbedded in him. After planting his roots in Shreveport, Gerald orchestrated the crawfish craze into what it is today. With wife Lisa, they raised three sons with the same determination to always chase your dreams. ​Now meet Zach Savoie, the son with a long-time passion for healthy eating and fitness. As a former collegiate football player, current personal trainer and meal planner, Zach understands the need for proper nutrition to give the body the fuel it needs to succeed. In addition to personal training/meal planning, Zach also currently competes and holds titles in NPC Men's Physique Fitness Competitions. His top wins include state title Mr. Louisiana Physique 2015, and 5th place in USA Nationals in Las Vegas.